Sometimes, when you want to make a holiday unforgettable, the only way to go is to add a touch of luxury. And if it’s a golfing trip you’re planning, you’ll be searching for the most impressive, elegant golf resort out there; the type of place where you’ll feel as though you truly are living in the lap of luxury, and where you’ll never want to leave! The Luxury Collection is the perfect place to find the kind of high end golf resort or hotel you’re looking for, and in the meantime, here are some of our favourites, across the world, that will really take your golf holiday from enjoyable to super special…. If your perfect high end resort combines world class golf with stunning accommodation and culture and incredible natural beauty nowhere will beat the Sheraton Cascais. A short drive away from Lisbon, you’ll have the pleasure of playing on famous golf course such as Penha Longa and Belas Golf. 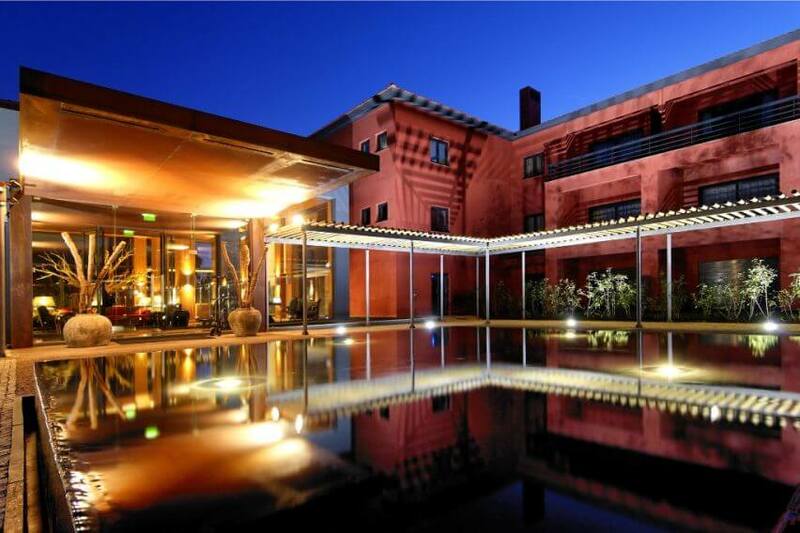 The hotel itself is pure five-star luxury, with heated pools and an amazing spa for you to relax in. This area of Portugal is one of the most beautiful in the country – when you’re not playing golf, you could catch some rays on the nearby sandy beaches, or explore the pine tree forests that surround the resort. In fact, for a golf holiday, there’s quite a lot that could keep you away from the course; Europe’s largest casino, Estoril is a short drive away, as is Sintra, an ancient castle that is also a registered UNESCO World Heritage Site. 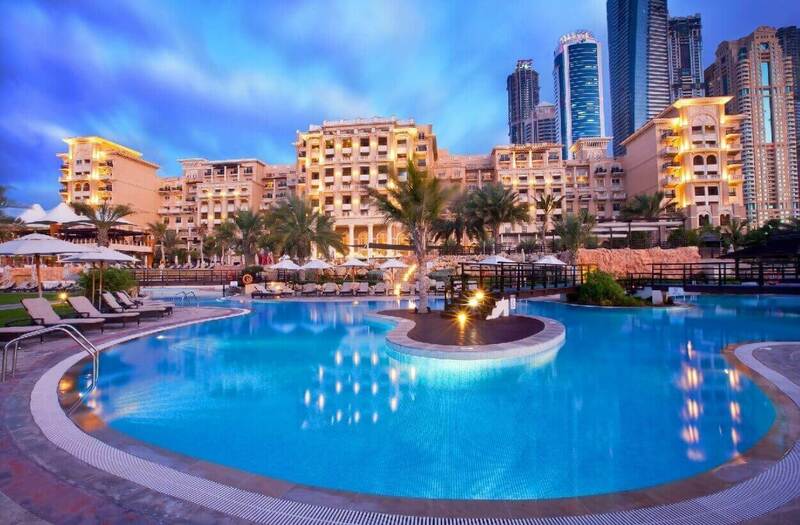 It doesn’t get more upmarket than The Address Montgomerie, located in the desirable Emirates Hill district of Dubai. This is like heaven on Earth for golfers; every single room of the hotel is boutique, overlooking either the breathtaking golf course, or the glittering skyline of Dubai. And the course itself is like nothing else you will play on. It was designed by the legendary golfer Colin Montgomerie, and it’s a beautiful, 18 hole, subtly challenging course that you’ll love playing on. Another amazing UAE golfing location that seamlessly combines style with substance for a seriously sophisticated golf experience. The course here has often been used as the host of the Dubai Golf Championship, so it has some serious star power and will really add some glamour to your golfing! It’s a ‘beach style’ golf course, so you can expect to find sloping white sand dunes alongside the perfectly manicured grass; although it may be difficult to concentrate on your game when you’re being distracted by the simply breathtaking views of the nearby ocean. And at the end of a hard day’s golfing, you can unwind in the luxury spa, or soak up the afternoon rays next to the pool; before heading out to sample some of the finest restaurants Abu Dhabi has to offer! Call us on 01904 406550 here at Glencor Golf if you can’t wait a moment longer to begin organising your stay at one of these truly elegant golf resorts – we can make sure every last detail is taken care of, so you can sit back, relax, and enjoy the perfect golf holiday. And remember to keep an eye on our Special Offers page to be able to enjoy these super stylish golf resorts on offer – currently, breaks at The Westin and The Address Montgomerie are available as a deal.